Loren Prizant is a member of the business litigation practice group. 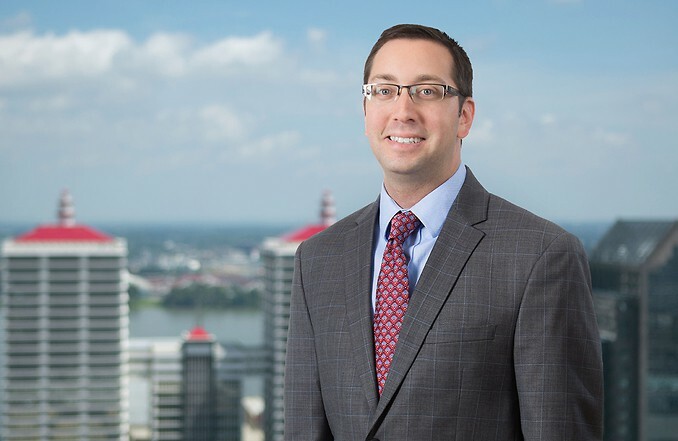 He practices primarily in the areas of labor & employment, defending individual and class action employment matters, workers’ compensation claims, unemployment claims and labor disputes in a variety of forums, including federal and state administrative agencies and courts. He also provides advice to employers on personnel policies and procedures, employee discipline, sexual harassment investigations and termination decisions. Mr. Prizant is also a member of the firm’s health care law practice group, defending nursing home negligence claims. He also represents clients in criminal matters, administrative hearings, intellectual property issues, contract disputes and business formations. Tanisha Handley v. Mark’s Feed Store (Jefferson County, Kentucky, Circuit Court) Successfully represented Mark’s Feed Store in a slip-and-fall case in which Plaintiff claimed she slipped on a piece of bread causing her to fall down an internal staircase and injured her back. Obtained a defense jury verdict on all of Plaintiff’s claims. James Alvey v. David and Margie Seay (Jefferson County, Kentucky, Circuit Court) Represented Defendants/Counterclaim Plaintiffs David and Margie Seay in connection with a dispute with a contractor engaged to remodel their home. Obtained directed verdict on Plaintiff’s claims and jury verdict in favor of the Seays on their breach of contract claim. Hall v. Norton Hospitals, Inc. (Case No. 14-CI-05070), The Jefferson Circuit Court granted Defendant’s motion for summary judgment dismissing Plaintiff’s race discrimination and retaliation claims. Blunk v. Norton Hospitals, Inc. (Case No. 14-CI-00364), The Jefferson Circuit Court granted Defendant’s motion to dismiss Plaintiff’s retaliation claim. Tetrick v. Watson’s, et al. (Case No. 10C03-1310-Sc-001702), Obtained defense verdict in breach of contract and property damage claims. Mary Hentrup v. Care Clinic, P.S.C., 05-CI-007953, Defense jury verdict obtained in an employment suit filed by former office manager of a medical practice who claimed disability discrimination under the Kentucky Civil Rights Act based upon the fact that she was terminated while on medical leave for generalized anxiety. Yoder v Univ. of Louisville, 2011 U.S. App. LEXIS 7381 (6th Cir. Ky. 2011), Successfully argued appeal in the Sixth Circuit Court of Appeals in which the Court vacated the trial court’s order granting Plaintiff summary judgment in a First Amendment free speech case. Sam's v. Wal-Mart Stores East, LP, 2010 Ky. App. Unpub. LEXIS 889 (Ky. Ct. App. Nov. 24, 2010), Kentucky Court of Appeals affirmed the dismissal of claims on summary judgment in a case filed by four former employees alleging age discrimination, defamation, and intentional infliction of emotional distress. Parker v. Pediatric Acute Care, P.S.C., 2008 WL 746677 (Ky. Ct. App. 2008), The Kentucky Court of Appeals affirmed the Defendant’s motion for summary judgment in a sexual harassment and retaliation case under Kentucky’s Civil Right Act. Booth v. Wal-Mart Stores East, L.P., 2006 WL 2178178 (W.D. Ky. 2006), The Court granted Defendant’s motion for summary judgment dismissing Plaintiff’s slip and fall claim based upon open and obvious defense. Harper v. Griggs, 2006 WL 2604663 (W.D. Ky. 2006), The Court granted Defendant’s motions in limine excluding evidence of other accidents in trucking litigation.